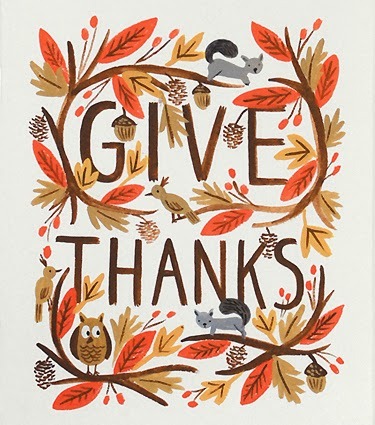 In the spirit of Thanksgiving, I thought this week I would write a post about what I am thankful for. Too often, people get caught up in the happening of their lives, and don't have the time to give thanks to all of the wonderful parts of their lives. I often fall vicim to this as well because my life has been insanely busy with just starting college, and trying to figure out how to manage all of my time. I think it's extremely important, though, to step back and be thankful for all of the good in our lives - it not only puts things into perspective, but I find that it also helps life seem a little easier. Suddenly all of the hard parts of life are easier, because you see life isn't all bad after all. 10. Harry Potter, because why not? Even if you don't celebrate Thanksgiving, this time of year is a great time to step back and reflect on all of the good things in your life. Everyone has something, and honestly it gives you the warm-fuzzies that are so often associated with the holiday season (and who doesn't want warm-fuzzies?!). What a lovely post, I love that Harry Potter is on there ha! These posts are just so nice. They let us know that bloggers have a bit more depth to them than just being into fashion or whatever. Really nice post. Thank you! :) It was really nice doing a post like this, I'll definitely be doing more! I'm thankful for the holiday season as well. It's so festive around this time of year, I can't help it. This is a really great post - we often feel like what we have is normal but it actually isn't. I'm also very grateful for family, friends and a country where you can believe whatever you want.